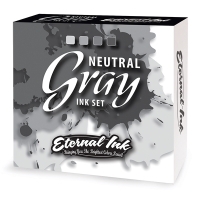 An essential addition to every artist’s color palette — a set of four opaque neutral gray inks! 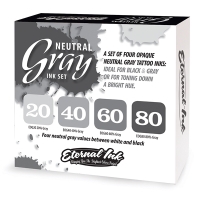 For the black & gray artist looking to create a smooth opaque gradation, these four inks are evenly spaced at 20%, 40%, 60% and 80% of black on the value scale. 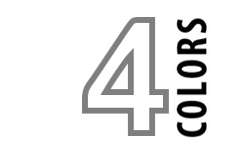 Color artists will love the neutral grays for toning down any color without a having a shift in color hue. 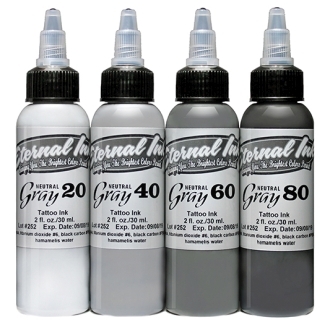 Adding this set allows an artist to extend their color palette with a wider range of tones and shades.